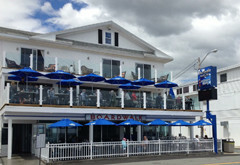 Located on Hampton Beach, NH, next to the Casino Ballroom, the Boardwalk Cafe and Pub is a three-season dining, drinking and entertainment complex. Serving lunch and dinner, the Cafe and Pub also features live entertainment seven nights a week on two floors. Relax outside on our sidewalk patio or upper deck while sipping a summer cocktail and enjoying our fresh seafood. 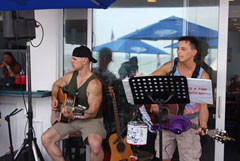 Live music seven nights a week in season. 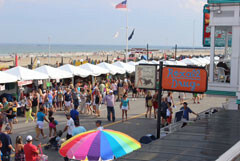 Our boutique Inn is located in the heart of Hampton Beach just steps from the shoreline and the action of the beach boardwalk.